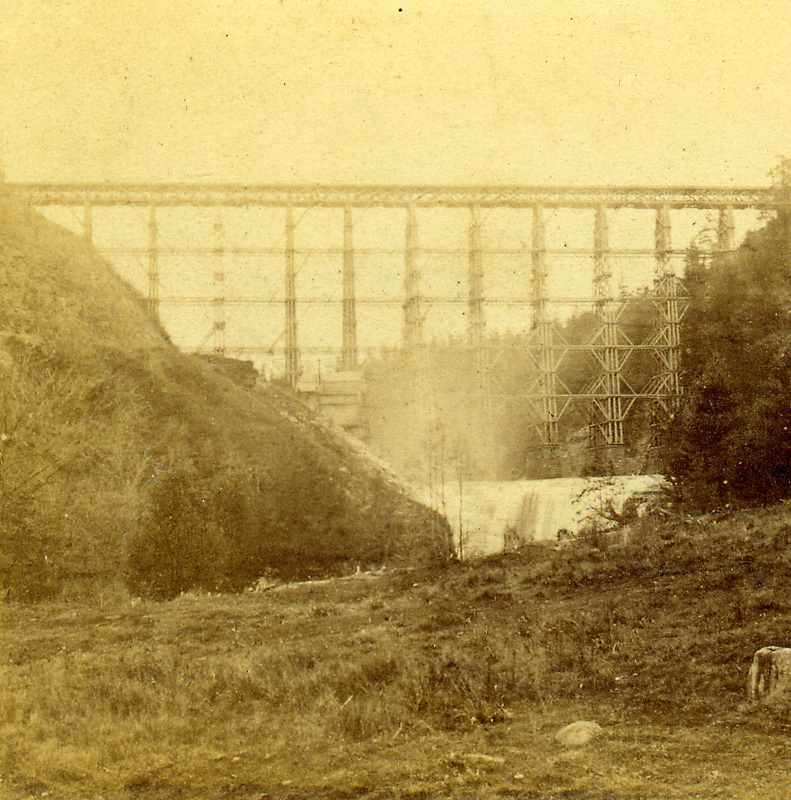 "The Bridge and Falls at Portage on the Genesee"
This early stereoview of the famous Portage Wooden Bridge also shows an early mill that stood between the Upper Falls and the Bridge. Anderson hints that this mill might have been built as early as 1820. Although the exact date of the photo is not known, the label indicates that the card was published before 1863. See an enlarged image below.